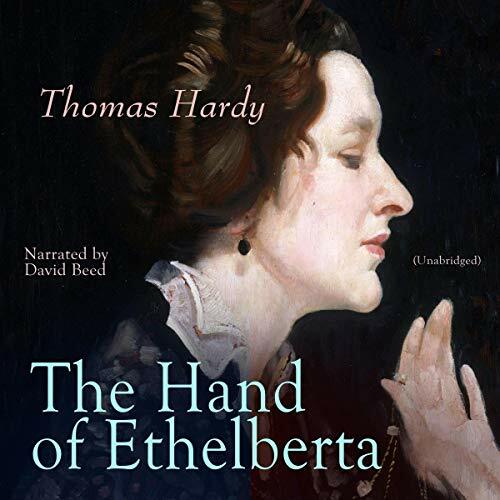 "The Hand of Ethelberta" (1876) is a comedy novel by Thomas Hardy. Ethelberta was raised in humble circumstances but, through her work as a governess, married well at the age of eighteen. Her husband died two weeks after the wedding and, now twenty-one, Ethelberta lives with her mother-in-law, Lady Petherwin. In the three years that have elapsed since the deaths of both her husband and father-in-law, Ethelberta has been treated to foreign travel and further privilege by her benefactress, but restricted from seeing her poor family. The story reveals Ethelberta's career as a famous poet and storyteller as she struggles to support her family and conceal her secret—that her father is a butler. Beautiful, clever, and rational, she easily attracts four very persistent suitors (Mr. Julian, Mr. Neigh, Mr. Ladywell, and Lord Mountclere), but is reluctant to give her much-coveted hand.